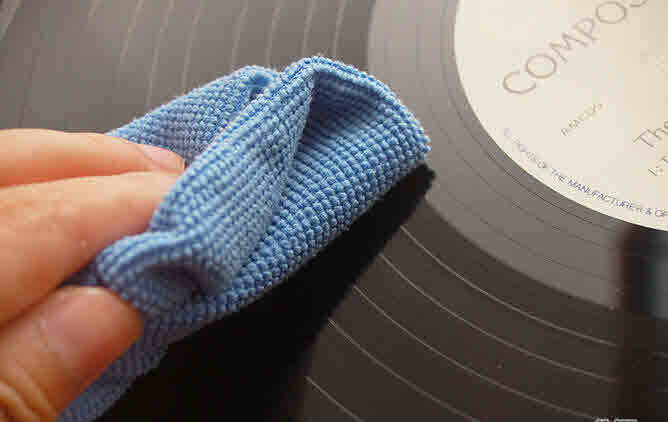 Having elaborated on the importance of perfecting the record, and having the standards of appellate review in mind, I began to discuss in detail how to perfect the record. Counsel needs to see clearly how the case may unfold in each step of the proceedings, from the pre-trial stage to appeal stage. Cases are organic. Everything that is done at the pre-trial and trial stages may eventually be relevant on appeal. Even at the pre-trial stage, Counsel should be able to see far ahead what sorts of challenges he or she may raise at each stage, reopen at a later stage and bring on appeal. Conversely, on appeal Counsel is limited to whatever is already in the record unless there is a mechanism to adduce additional evidence such as Rule 115 of the ICTY Rules of Procedure and Evidence (ICTY RPE). 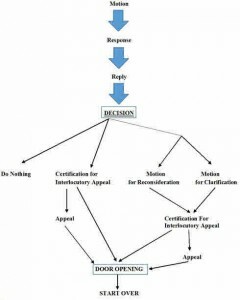 Counsel ought to be aware of all options and mechanisms at each stage. This means being diligent in investigating the case, skilfully challenging all legal and factual issues through written submissions that fully preserve all errors, making and meeting oral objections during the proceedings, and putting on a case (which can be done strictly through confronting the prosecution case) that has a consistent, plausible, and well-developed theory. [A]ll a party has to do to avoid the forfeiture of a complaint on appeal is to let the trial judge know what he wants, why he thinks himself entitled to it, and to do so clearly enough for the judge to understand him at a time when the trial court is in a proper position to do something about it. – Lankston v. State, 827 S.W.2d 907, 909 (Tex. Crim. App. 1992). • persistence in obtaining a judicial determination (asking for a ruling). If there are any misrepresentations from the Prosecutor, or if the Trial Chamber has misunderstood or mischaracterized the thrust of the objection, Defence Counsel needs to be vigilant and diligent by clearly articulating a timely correction on the record. Counsel should also be careful of door opening, which can either cut for or against the accused. In initiating written submissions, Counsel must state the basis for the submission. If there is no hard rule, Counsel should ground the submission by invoking the fair trial rights of the accused. Also it is always good to invoke Counsel’s duty of due diligence; it may sound trite, but showing the consequences which the client is likely to suffer if no effort is made to secure the relief being sought gives purpose and meaning to the due diligence claimed. But, filing the submission is generally insufficient if the process is not pursued to the end; exhaustion of all possibilities of further review includes pursuing interlocutory appeal. Even after exhausting all possibilities, the story does not end, for if the door opens somehow later in the proceedings, either through a witness or newly discovered evidence, the process must begin all over; revive the matter with a submission for reconsideration . . . and again continue on to procedural exhaustion. Similarly, doors closed through defence submissions should remain closed. It is beyond foolishness to revive an issue for the prosecution by inadvertently (acting non-diligently) opening the door and reviving an issue for further consideration. Also discussed was the issue of making sure to go to the right authority in requesting relief, and, of course, making sure that the relief being is sought can actually be granted – either by rule or inherent discretion. And if an error was caused by Counsel – such as discovering evidence that was readily available but past the deadline for admission – Counsel should fall on his or her sword; take the blame. Counsel should argue that the Chamber should grant the relief because (1) the accused pays the ultimate price for Counsel’s oversight; (2) no party would be prejudiced if the relief sought is granted – since the trial proceedings are about getting to the truth; and (3) it is in the interest of justice. After making a submission (motion or request), the other party has fourteen days to respond as a matter of right under ICTY RPE 126bis. After the response, Counsel should contemplate whether a reply is necessary. Since replies are not necessarily permitted as a matter of right, Counsel may need to seek leave. If leave is granted, under ICTY RPE 126bis the reply must be filed within seven days of the filing of the response. You could file for leave, and wait until leave is granted to file the reply, but if time is of the essence, this may not be the most diligent approach. The better practice is to attach the reply to the leave. There may be some added benefit to taking this approach: a subliminal influence on the Chamber (or the clerks) when reviewing the leave. Also, if on the opposing side of the reply, there may be an avenue to file a sur-reply: generally granted when “the reply raises a new issue to which the respondent has not already had the opportunity to respond.” 1Prosecutor v. Boškoski & Tarčulovski, IT-04-82-A, Decision on Johan Tarčulovski’s Motion for Leave to Present Appellate Arguments in Order Different From That Presented in Notice of Appeal, to Amend the Notice of Appeal, and to File Sur-Reply, and on Prosecution Motion to Strike, 26 March 2009, para. 15. After the back and forth of replies and responses comes the decision itself. 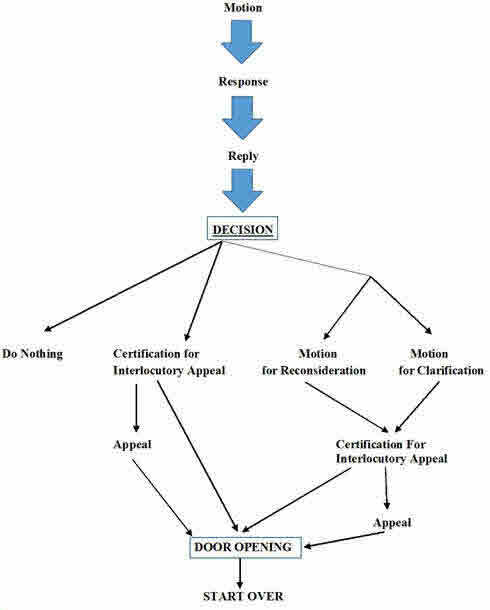 At this point, Counsel has three options: (1) do nothing, and the process stops there; (2) ask the Chamber to reconsider or clarify its decision; or (3) file for certification for interlocutory appeal. Counsel must be aware of all the various criteria for these mechanisms. A ‘motion for clarification’ is just what the name implies: a request for an explanation from the trial court as to the meaning of a prior, allegedly unclear, order. A ‘motion for clarification’ does not seek to persuade the trial court that a prior judgment should be changed, modified, or invalidated. If it does seek to do any of those things, then it is not a ‘motion to clarify’ a judgment, but a motion to alter, amend, or vacate a judgment. . . .
– Moss v. Mosley, 948 So. 2d 560 (Ala. Civ. App. 2006). 2. In the opinion of the Trial Chamber, an immediate resolution by the Appeals Chamber may materially advance the proceedings. On appeal of the impugned decision, Counsel must demonstrate that there was “discernable error”: (i) based on an incorrect interpretation of governing law (ii) based on a patently incorrect conclusion of fact; or (iii) the decision was so unfair or unreasonable as to constitute an abuse of the Trial Chamber’s discretion. 3Prosecutor v. Prlić, IT-04-74-AR65.34, Decision on the Prosecution’s Appeal of the Decision on Further Extension of Slobodan Praljak’s Provisional Release, 11 June 2012, para. 4. In order to exercise due diligence, Counsel must exhaust all available possibilities. If Counsel takes a particular route which leads to a dead end, there may be a possibility down the line that the door will open. When this opportunity comes up to re-litigate an issue, Counsel must start the process all over. I presented a chart that mapped out all the possible avenues of raising an issue: In addition to all the stages before the appeal, I also covered the criteria for making an appeal and the post-conviction relief available. Under ICTY RPE 115, new evidence may be submitted on appeal if the material was not available at trial. This does not mean “it just came to my attention evidence.” Under ICTY RPE 119, a Chamber may review a judgment if a new fact was discovered, which was not known to the moving party, and could not have been discovered through the exercise of due diligence. I concluded the lecture by re-emphasizing the key themes: Counsel must know his or her destination first, Counsel must know how to exhaust all his or her possibilities, and that diligence requires vigilance. The procedural rules, cases and codes of conduct provide useful guidelines. But there is no substitute for Counsel taking the necessary precautions as early as possible and being diligent throughout the case from pre-trial to appeal. It is incumbent on Counsel to be proactive and to be vigilant throughout the proceedings. When a client is not self-represented, then it falls upon Counsel to protect the client’s fair trial rights, all of which are recognized and protected by statute and treaty law. 1. ↑ Prosecutor v. Boškoski & Tarčulovski, IT-04-82-A, Decision on Johan Tarčulovski’s Motion for Leave to Present Appellate Arguments in Order Different From That Presented in Notice of Appeal, to Amend the Notice of Appeal, and to File Sur-Reply, and on Prosecution Motion to Strike, 26 March 2009, para. 15. 2. ↑ Prosecutor v. Karadžić, IT-95-5/18-T, Decision on Prosecutions Request for Reconsideration of Trial Chamber’s 11 November 2010 Decision, 10 December 2010, para. 7. 3. ↑ Prosecutor v. Prlić, IT-04-74-AR65.34, Decision on the Prosecution’s Appeal of the Decision on Further Extension of Slobodan Praljak’s Provisional Release, 11 June 2012, para. 4.